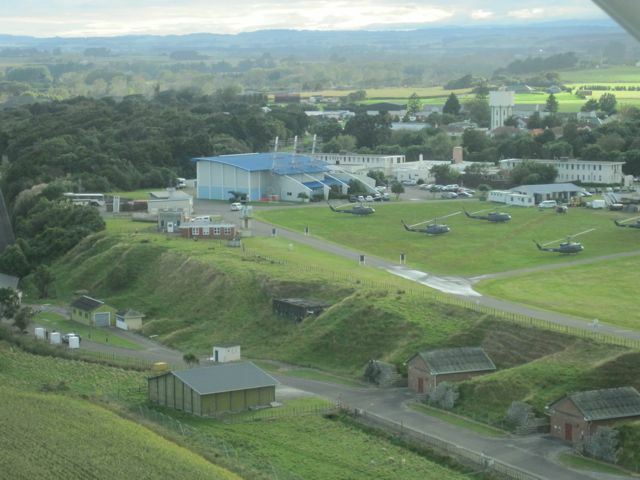 The Royal New Zealand Air Force is celebrating 75 years of existence this year. 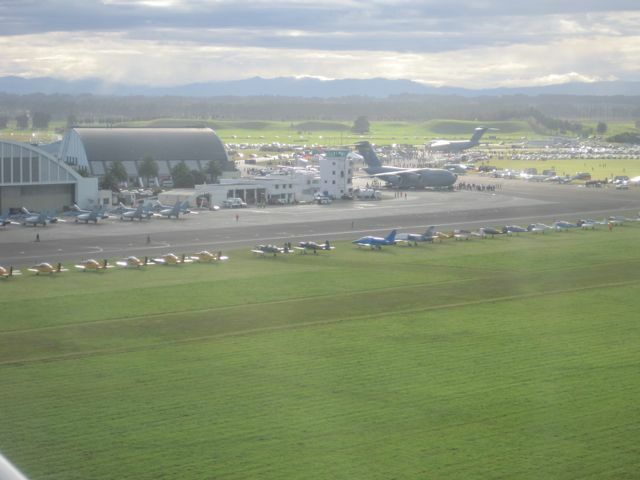 Reason enough for them to put on a great air show extravaganza at their military base in Ohakea. Normally their airfield is a big no-go zone, and no one in their right mind would ever approach their runway from the air on an ordinary day. But for their anniversary celebrations they allowed 120 civilian aircraft to fly into their air base. Obviously a keen pilot like Kai can’t let such an opportunity pass by, and so I found myself, our friend Helen and Kai’s aeroclub buddy Rodney gathering at Wellington airport super early last weekend, waiting for official daylight to start, to make our way up to Ohakea. The flight up was beautiful – once we had left the low clouds of Wellington behind, the weather turned great and traveling up the coast was pretty awesome. Air traffic close to Ohakea was mad and the air traffic controller who guided all the planes in did a fantastic job getting everyone safely to the ground (although we had to hold for about 40 minutes before we could squeeze in to land). The show itself was pretty good too; there were plenty of military planes from different countries on display, we saw a fantastic avionics exhibition and the flight show was incredibly impressive too. My favourite part was when we were allowed to go back to our parked plane and were able to see the last couple of presentations from the other side of the runway. The flight back was great as well. We did a quick stop to refuel in Paraparaumu and were back in Wellington shortly after that. It’s super cool that we’re able to fly up to such events ourselves. 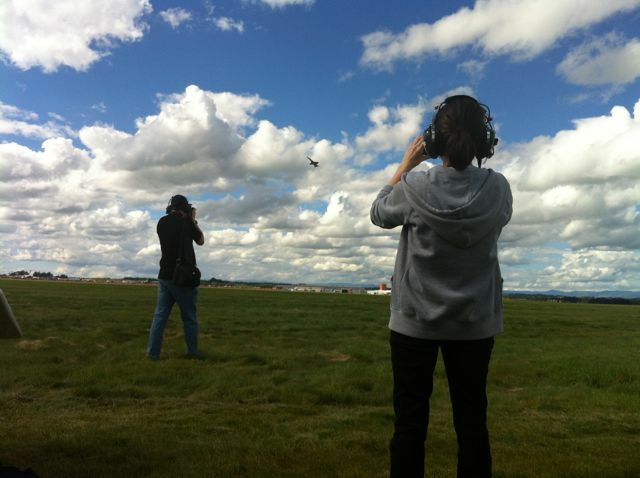 For more photos from the event, have a look at Rodney’s blog, he has covered all noteworthy planes and show parts in text and photos in a much better way than I could ever do.